Hair is impacted by many things. Poor diet is the main issue. When you have a poor diet, hormones can become imbalanced. When you have stress, a lack of good nutrients means less food or nutrition that can be shared with body processes that are not essential. The formation of hair is one of those non essential body processes. 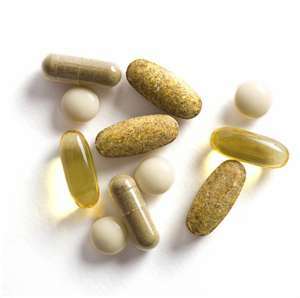 B vitamins are used as energy in our bodies. They are water soluble and the body cannot store them. These vitamins are essential for breaking down food into energy. Energy is what our bodies use on the cellular level for food and nutrition. When you have stress in your life, you lose more of these vitamins than normal. Who doesn't have stress, right? Now couple this with poor nutrition. That means, with bad food, you are already starting out with depleted reserves of vitamin B. You are starting out with less than you need already. When you stress, you lose the store of B vitamins you have. Your body wants to keep you alive, even if it means making you go bald. Thus, B vitamins that were meant and needed for the hair are diverted to critical systems such as those for breaking down hormones or food in your liver. I am making this overly simplistic to make a point. Your hair can suffer. What you may want to consider, while you are trying to get your eating habits together and managing your stress, is to add a vitamin B complex supplement to your diet. Always talk to your doctor before you add something, especially if you are taking other medication. f your hair is not getting what it needs from the inside, whatever you do on the outside will always be hindered. Optimize the care of your hair. Consider a B vitamin complex stress formula when your life and your world are crazy busy, when the stress is at its apex and your food and diet are not the best. Great post. Another important vitamin is Vitamin D. Many people are deficient and don't know it. Vitamin D deficiency can cause many health risks such as osteoporosis since Vitamin D is imperative in Calcium absorption. Everyone should get their levels checked to make sure they are not deficient, and take a supplement if they are. You are very right about Vitamin D especially as we get older. Good post. I just wanted to add that a good topical application of Vitamin B (which is great for the hair) is Panthenol DL. I use it in my hair spritz. I have heard of the liquid panthenol, just don't know where to but it from locally.